Like I said, russian business practices. Some blackmailing trough the media and... Ta-da! Deal is done. "We have reached a full understanding on the price" Krivoruchko told reporters. The GULAG was closed down 59 y. ago. Only a few camps r still there. Tsavo Lion wrote: The GULAG was closed down 59 y. ago. Only a few camps r still there. As reported by the RIA Novosti news agency on March 7, 2019, with reference to the press service of Russian Helicopters, the Rostvertol enterprise (part of Russian Helicopters) completed the acceptance and transfer procedure to representatives of the Ministry of Defense of seven new helicopters. Two transport combat Mi-35Ms, two combat training Mi-28UB and three Mi-28N "Night Hunter" were transferred. Earlier this year, four Mi-35M helicopters and two combat training Mi-28UBs were handed over to the defense department. Thus, from the beginning of the year, 13 new Rostvertol helicopters were handed over to the Russian Federation Air Force. Some 400 Mi-28N, Mi-35M and Ka-52, 600+ Mi-8 of all versions, 100+ Ka-226 and Ansats plus 20 - 30 Mi-26 have been build for the home market and export in the last 10 - 12 years. Looks quite decent to me. Maybe the export could grow a little bit but at home there are a lot of "older" Mi-8 versions that have ten or even twenty years of service life left. 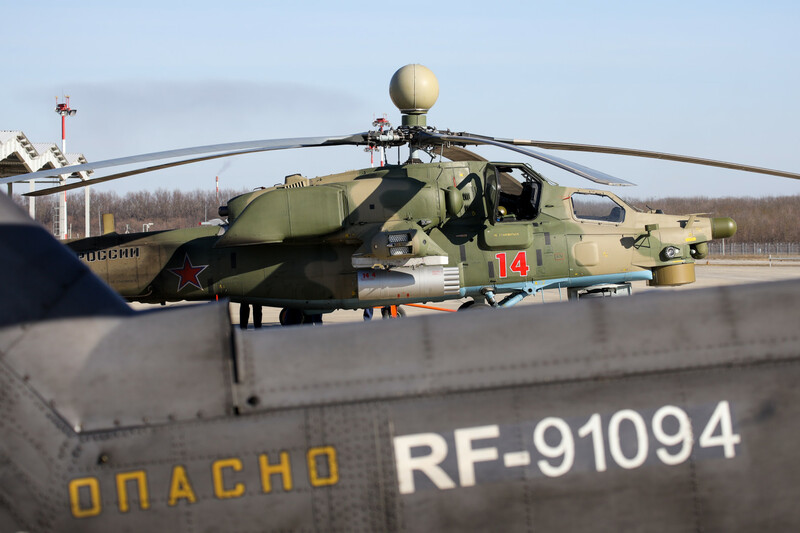 “For the Mi-28NM, a new missile is being created, the“ product 305 ”, designed for round-the-clock destruction of armored vehicles and reinforced concrete fortifications. The range of missile use is more than 25 km,” the agency’s source said. The source added that one helicopter can carry up to eight such missiles (four on each pylon). According to the interlocutor, the rocket will fly to the target according to the onboard inertial navigation system, information about the location of the target will be entered into the memory of the system at the time of launch from a helicopter. The Mi-28NM, in turn, will receive the coordinates of the target from its own means of detection or from a single troop control system. In the final leg of the flight, the source explained, "the new rocket will include a homing head to detect the target in a given area and defeat it." The helicopter will be able to receive the video signal from the rocket via a protected information and command radio line, the source added. They might have terminal guidance options in different price ranges for different targets... the cheapest could be an optical system that can determine objects and patterns and shapes and structures... perhaps including thermal frequencies so it can be day night and all weather capable, and it could use an external laser to mark the target to make it all rather simple but needing an external targeting source like a UAV or ground troops or whatever... the addition of GLONASS could make it better able to hit fixed targets like a small building or bridge without adding too much cost. More expensive it might be MMW radar guided, though a cheaper option there could be to make it SARH, so the missile just has a simple seeker... the helicopter would illuminate the target with a thin pencil beam of radar energy and the missiles seeker detects the reflecting energy and homes in on it to impact. More expensive than that and more capable it could have an active homing MMW radar in the missile nose and it can find and identify targets itself based on the shape of the radar image reflection it gets when it scans the target area. Ideally you could have combinations of these designs so for tricky targets you spend a bit more on a more capable guidance system to ensure you get a hit, but ideally putting the expensive high tech radar and EOs in the helicopter and just making the missile a simple command guided weapon would mean the missiles are cheap to use and easy to mass produce and you can use them for all sorts of targets without worrying how many replacements you will be getting for the next operation. Javelin sounds like a sophisticated and capable missile system, but using a half million dollar missile on a Taleban soldier sitting in a tree... I am sure if you went over and said I will give you $200,000 US dollars to hand over your rifle and promise not to fight against us in the future he would be more than happy with that arrangement... and you just saved the US taxpayer $300,000. According to the source, the rocket will fly to the target according to the onboard inertial navigation system, location information of target will be made in the memory of the system at the time of launch from a helicopter. 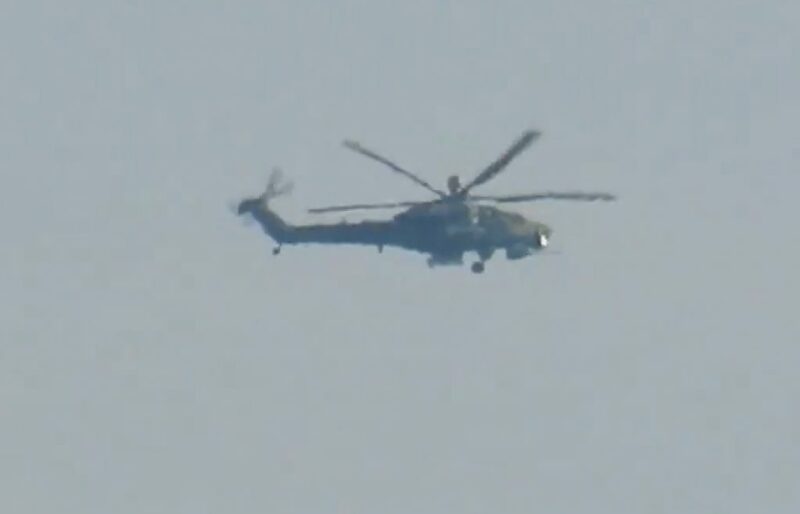 Mi-28NM, in turn, will receive target coordinates from their means of detection or of a unified system of command and control. In the terminal phase of flight, the source explained, "the new missile will enable the seeker to detect targets in a given area and defeat." The helicopter will be able to get the video from the rocket via a secure information and command radio, the source added. So either the helicopter will detect the target with its own sensors or will receive target coordinates from other platforms (ie UAV, ground forces, other aircraft, satellite, etc etc...). It can then fire a missile at the target location, with the missile using command guidance to get it to the location of the target. The seeker in the missile will scan for the actual target and attack it. This is interesting the helicopter will get video from the rocket via digital datalink and the command radio suggests in the terminal phase the helicopter crew can reselect a target from those visible if they are not happy with the target the missile selects... ie if the target area has three Abrams tanks and an air defence vehicle of some sort the crew might want to take out the air defence vehicle first. Of course if the air defence vehicle is a Linebacker with a gatling gun and Stinger MANPADs and is 23km away they might just take out the Abrams tanks and pass the location data for the linebacker to get engaged with a shorter ranged weapon like a Vikhr from 10-15km or so... which is still safely outside its effective range. Only in flat desert you can use weapons at max range. In europe you can hide behind trees, rocks, houses ... effective range can be few hundreds meters againsr well trained ground crews. In kosovo Apaches were not used as the terrain was making their use very dangerous. Manpads at close range have better Pk and much harder to detect if they are launch under the helicopter. Reaction time is then reduced. Against shilkas or tunguska like system they are dead meat. Or you can also quotes numbers from vietnam war. They lost like as much helicopter as there are right now in europe, russia included. Two crashed in total. One had flight computer issue that was later patched on all AHs in service. Second had hydraulics failure. All other stories about us bombing whatever, destroying whatever are just fishing stories. Same as we have about 25.000 "Košare veterans" online. You´re right if the weapon is launched from the ground, but flying in 1.000 or 2.000m you can look and shoot quite far. And this missiles won´t be used against some soldier hiding behind something, they will be used against vehicles. The radar of the Mi-28NM can see tanks from 20km, even if they are hinding inside woods. You should not trust everything said by the weapon makers. There is no way a radar can see a tank in a dense forest. Behind one or two trees maybe. At 1000-2000m they are seen by pantsirs ... and the radar will be detected by ground EW. Tests are held in combat conditions, the source said. There a man-portable radars that can see people behind bushes or trees. And the west doesn´t have Pantsirs. Only Stingers. Even with Ataka a heli is out of reach of this thing. Hole wrote: There a man-portable radars that can see people behind bushes or trees. France has crotale. Others have amraam launched from ground. Europe is full of rocks and mountains and never flat. Plenty of place where to hide. Even in yemen tanks are pretty well hiden and houtis get very close far less than max engagement range of their weapons. Yeah, well that is the problem when you try to use Apaches in occupied foreign territory... In Iraq when used to support ground operations they went OK, partly from a lack of decent MANPADS in the hands of the enemy, but also careful and sensible use against targets that are properly softened up first.